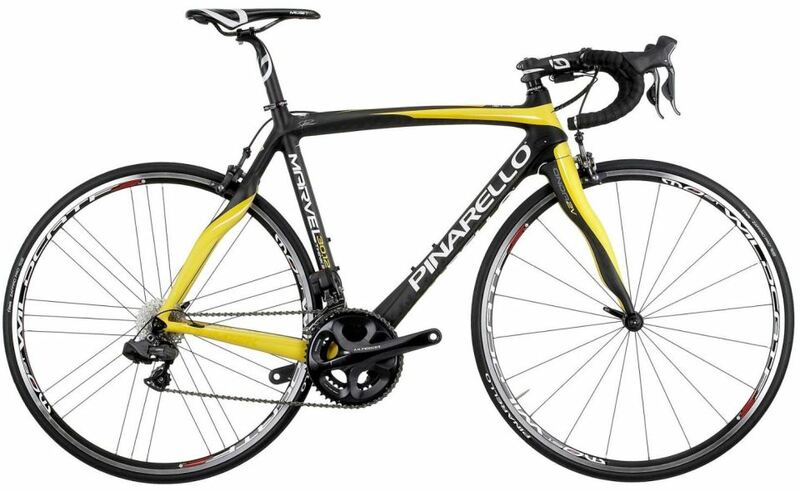 Pinarello was the most successful bike supplier of the pro-peloton at the Tour de France 2013. Chris Froome of Team Sky won the yellow jersey, and Nairo Quintana of Movistar team won both polka dot jersey of the KOM (King of the mountains) and white jersey of “the best young rider” classifications on Pinarello Dogma bikes. Pinarello also produced a special edition to honor the polka dot jersey. The famous Italian bike manufacturer revealed its 2014 models. The admiral ship of Pinarello uses Torayca 65Ton HM 1K carbon-fiber with Nanoalloy technology, exclusively from Toray, the Japanese carbon giant and only available to Pinarello. The frameset is compatible both mechanical and electronic groupsets. The name “hydro” comes from hydrolic disk brakes. The DOGMA® 65.1 Hydro is equipped with SRAM’s 11-speed 2014 model groupset with hydrolic disk brakes. The frame of the bike has the same geometry with 65.1 Think2. 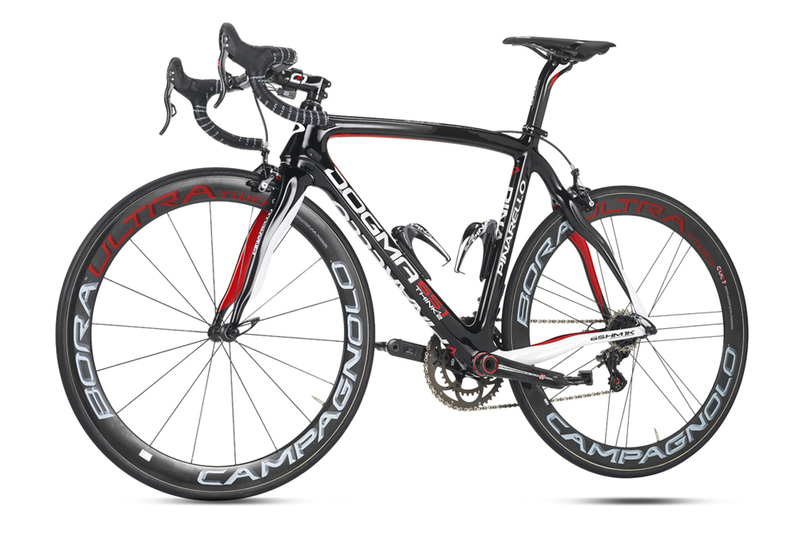 DogmaK is a hybrid bike, between Pinarello’s performance frame, Dogma, and endurance frame, Paris. Key differences from the Dogma 65.1 frame are the seat angle with an inclination of about one degree less, lesser steering angle varying between 0.5 degrees difference in the smaller frames and 1.5 degrees in the bigger frames. Extended wheel base means less vertical stiffness and greater absorption capacity on bumpy routes. Hydrolic disk brake version of DogmaK. 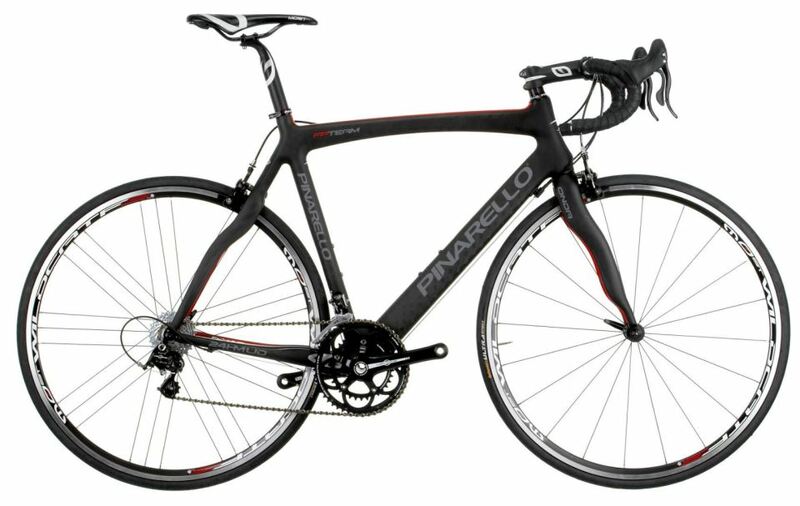 The endurance frame of Pinarello. Paris has been designed for the cobbled classics of Europe, like Paris-Roubaix. In 2014 edition, the weight is changed, now the raw frame size 54 weighs approximately 1038 grams. PARIS is available in 14 sizes, including special EASYFIT geometries, designed specifically for women. ROKH is completely updated for 2014, with the new system Think2 system and new Press FIT30 bottom bracket. The frame with identical tubing but more elongated geometry and therefore more comfortable than Pinarello’s traditional racing road bikes. The MARVEL™ Asymmetric is an entirely new frame. The new Think2 system allows the use of electronic or mechanical groupsets. Other new features include the new ONDA2V fork and a new aerodynamic downtube. Available in 14 sizes including 4 Easy FIT, MARVEL is sold only as a complete bicycle. RAZHA is a full carbon frame, designed for long distance riders, amateurs and youngsters. NEOR, is the first asymmetric frame in hydroformed aluminum (6061 T6). The rear triangle and the fork is carbon. 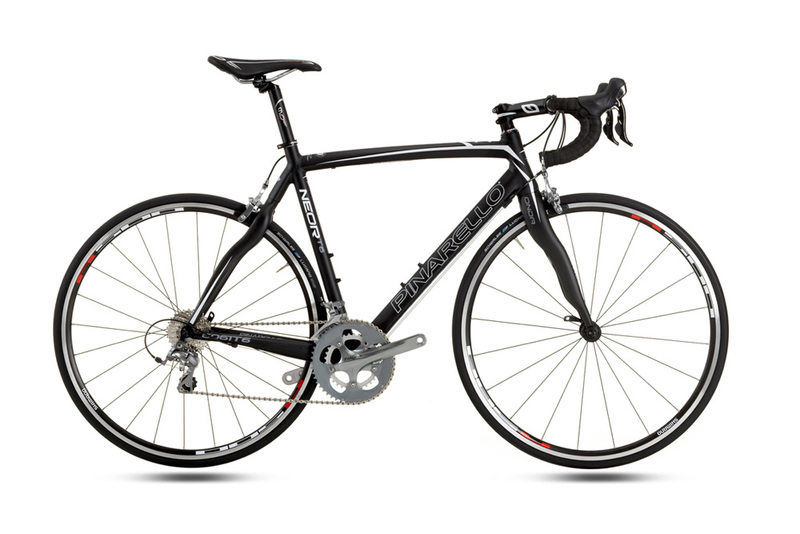 It is sold as a complete bike only with Shimano TIAGRA 10 Speed drivetrain. For over a year Pinarello Lab technicians and engineers, in close collaboration with Team Sky, have worked to improve the time trial bike which swept the 2012 Tour de France. And the fruit is: BOLIDE. 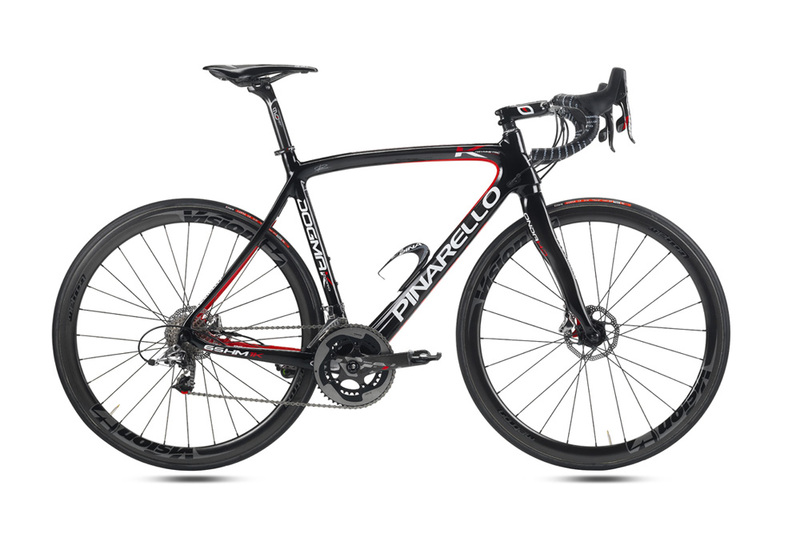 According to Pinarello, compared to the previous Graal, the total aerodynamic impact is reduced by 15%. The UCI-approved BOLIDE is fully compatible with both mechanical and electronic groupsets; the position of the water bottle can be lowered towards the bottom bracket to increase aerodynamic performance; the sections of the down tube are optimized to “hide” the bottle from the airflow; horizontal rear dropouts (as normally used on track bikes), in order to adjust and move the wheel closer to the frame; in the bottom bracket there is a special area designed to accommodate the SRM® sensor. Bradley Wiggins used a Graal to dominate the Time Trials at the Tour de France 2012. Now it is dedicated to the Triathlon. The frame that already in 2012 saw Leanda Cave dominating and winning the Hawaii Ironman. XIRON is a frame designed with specific geometry for the Triathlon. It is sold as complete bike with Vision components, offered in 5 sizes. THe admiral ship of Pinarello on track. Developed in a collaboration with top athletes including those of the British Cycling Federation in preparation for the Olympic games. Some specifications of the MAAT 2014 edition: Asymmetric rear triangle, Serrated/grooved design on dropout walls to improve wheel positioning, Dropout regulator for perfect fit and safer closure, Airfoil seat tube design Hidden seat clamp on rear of seat tube. 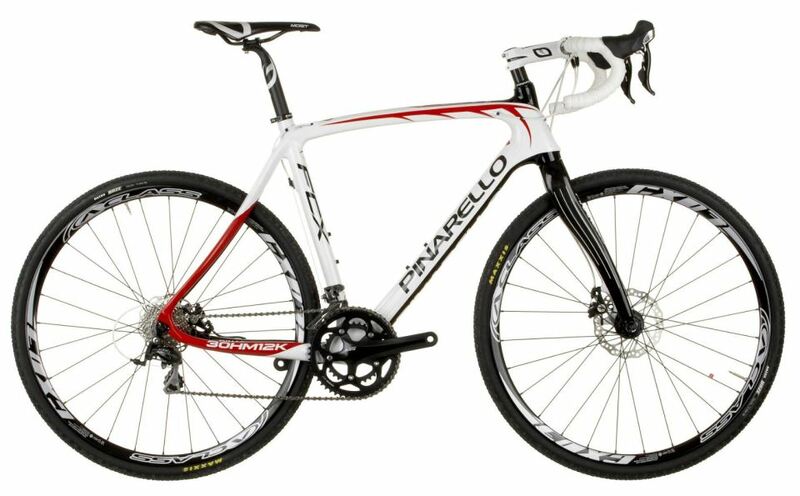 XTRACK is Pinarello’s full-carbon monocoque frame designed for the Madison and Sprint specialties. In the triangle the seat tube is shaped to follow the wheel, the rear is derived from the Onda, the stays are ample and the fork is oversized. Available with 2 different carbon finishes, 3K or 12K. 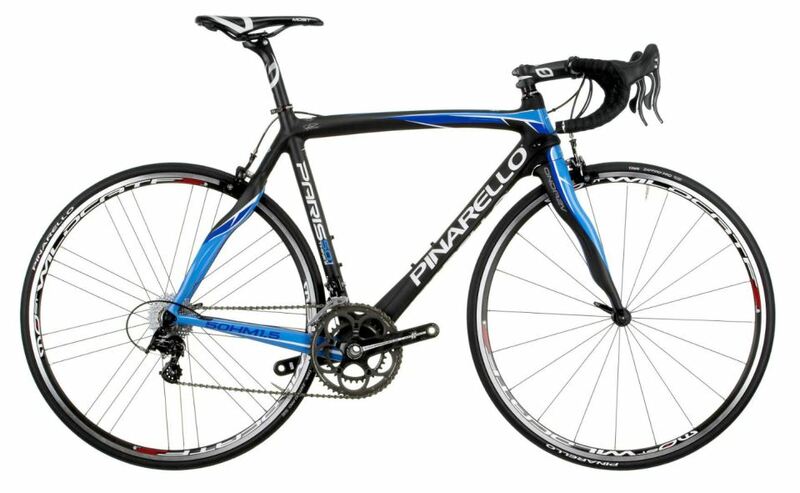 The aluminum track bike of Pinarello. A cyclocross bike with mehanical disk brakes, the FCX Cross is built on an asymmetric frame to confer a more symmetric and efficient power transfer with each pedal stroke. The top tube is rounded and more ergonomic than its road counterparts in an effort to increase comfort and facilitate shouldering the bike during intense race situations. Internal cable routing makes for both a clean look in addition to keeping the mud and grime, always a part of cyclecross, away from your cables. RAD system on the rear chainstay places the brake on a more robust tube both increasing the frame’s structural integrity and offering a more stable braking performance. Available in four sizes and two colors. Sold as either frameset or complete bike. 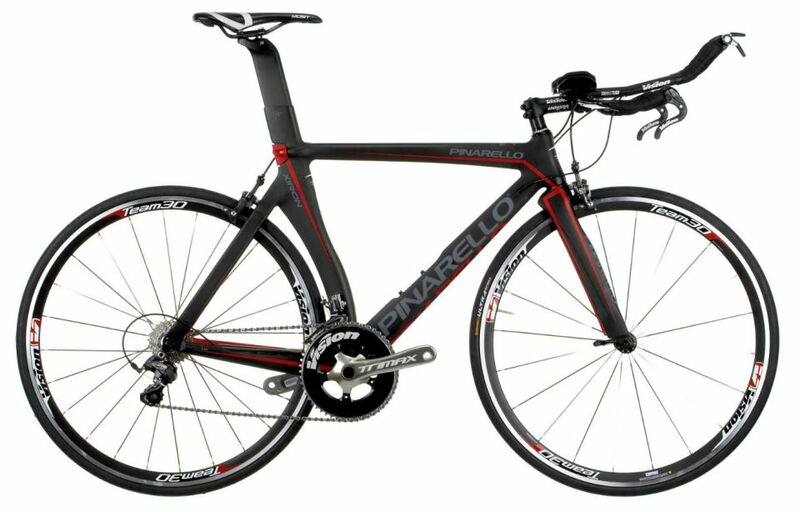 For all the models and colors check out Pinarello’s official website.